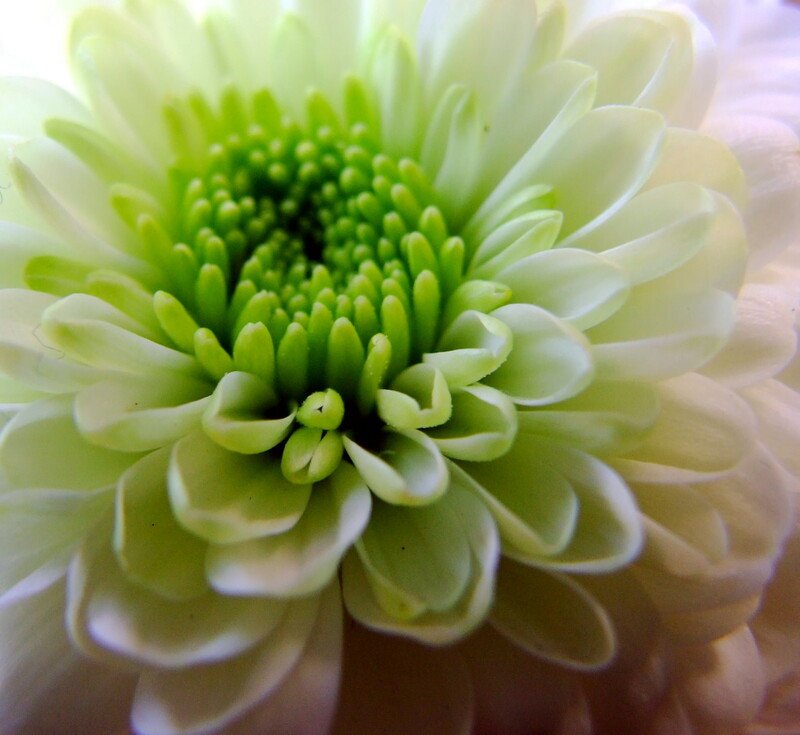 Green flowers are unusual in a world where people look for more traditional colors. 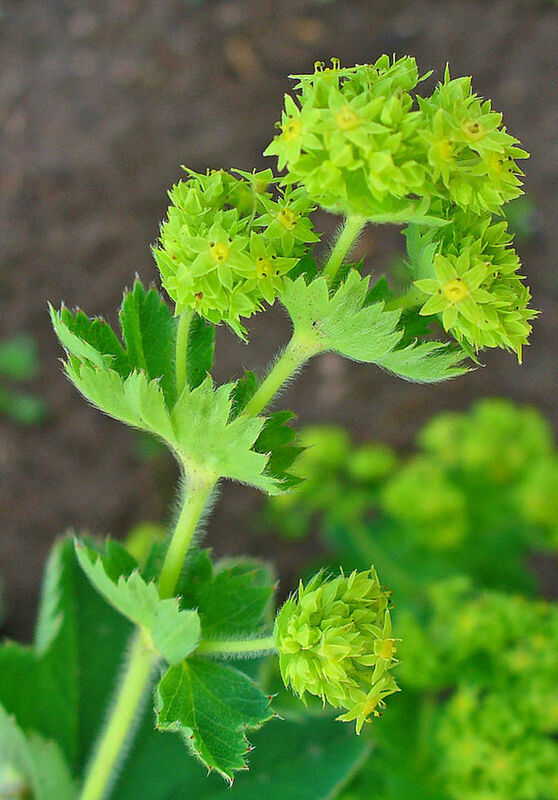 But green blooms can add a unique touch to a flower garden and are often featured in floral designs. 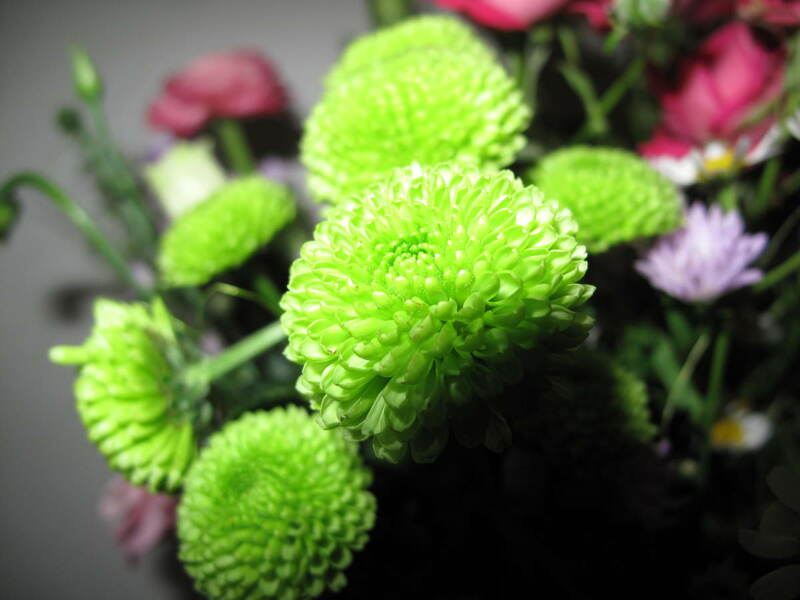 Some green blooms seen in florist's arrangements are dyed. Standard roses, for example, that appear on St. Patrick's Day or for novelty arrangements are most likely white roses that have been artificially colored. 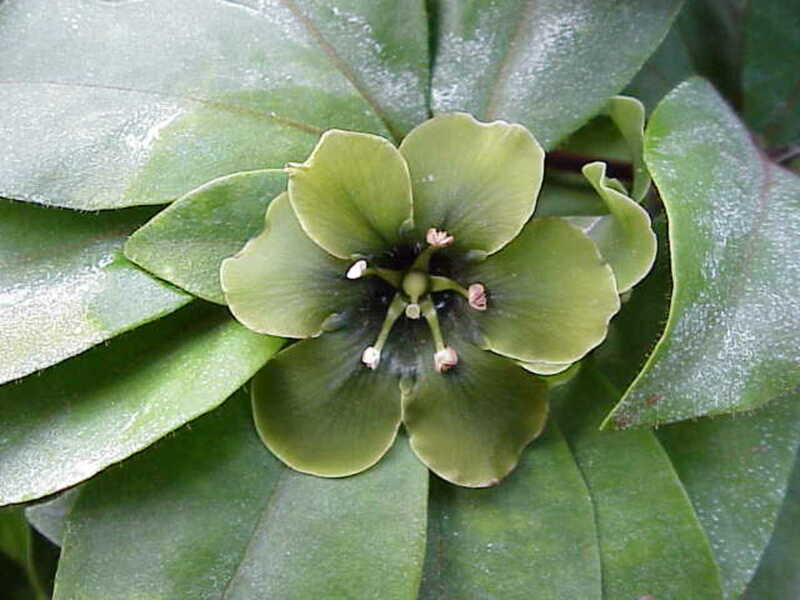 Some hard to grow green flowers are raised by experts in greenhouses for commercial purposes. 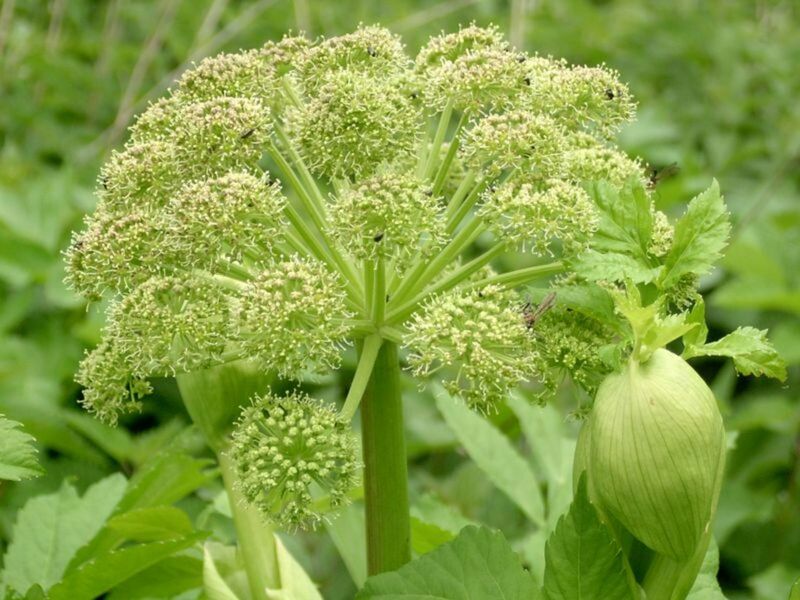 There are some green flowers that are easy to grow for the average gardener. Green zinnias and Bells-of-Ireland are annuals that look beautiful in a cottage garden or for cut flowers. 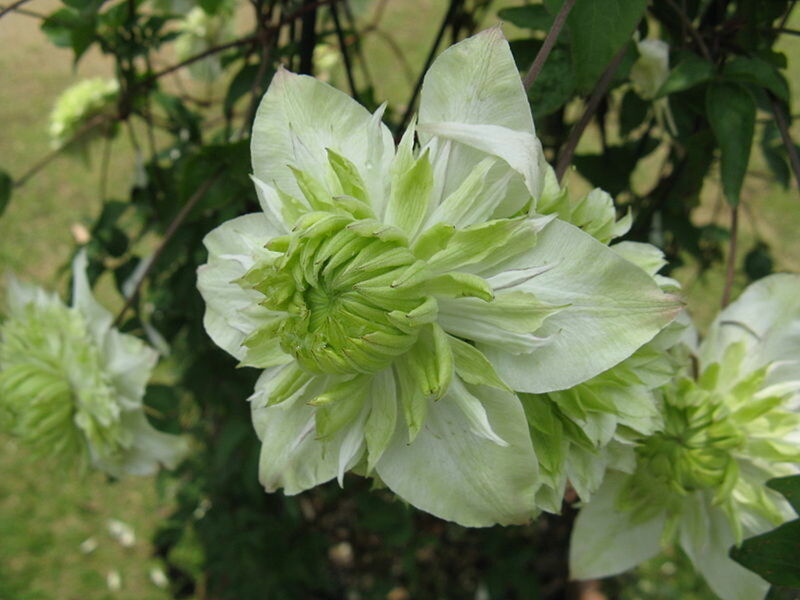 In an all white garden, some green flowers add a change where most green appears only in foliage. 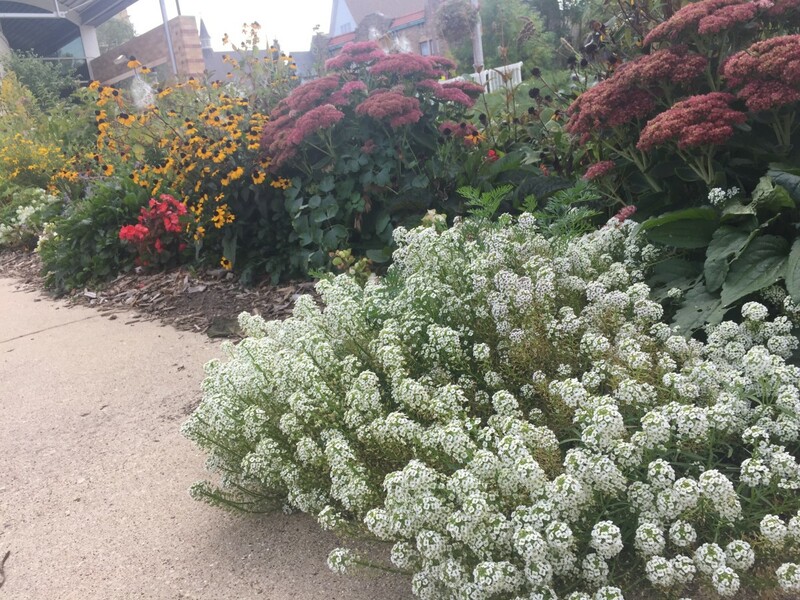 Bells of Ireland are beautiful annuals that grow 2 - 3 feet tall and bloom in late Summer. The green "flowers" are actually calyxes surrounding tiny white blooms. Pretty green bells open along a tall spike and add a nice, vertical element to flower arrangements. Mix seeds in soil and refrigerate to chill before planting. Or, plant 8 - 10 weeks before the last frost date in early Spring. 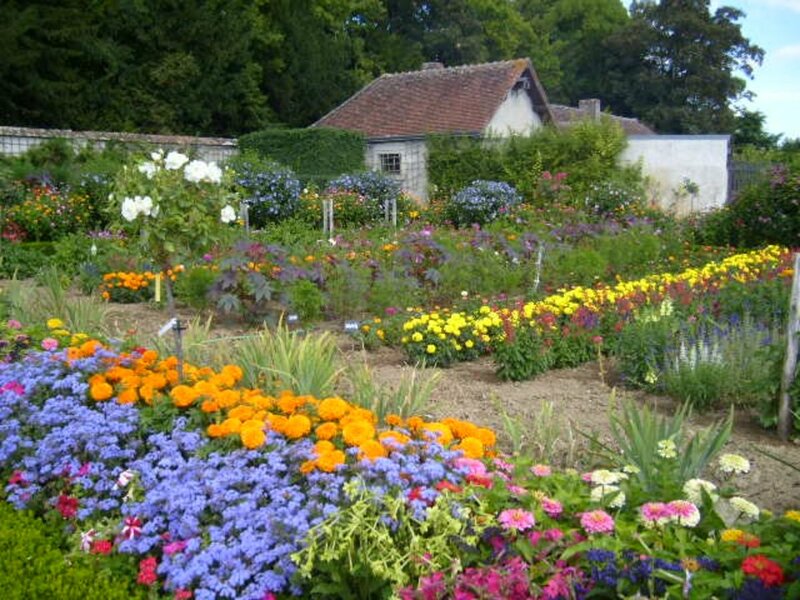 Plant shallow and keep moist until they become established. Be patient as Bells of Ireland take 3 - 5 weeks to germinate. 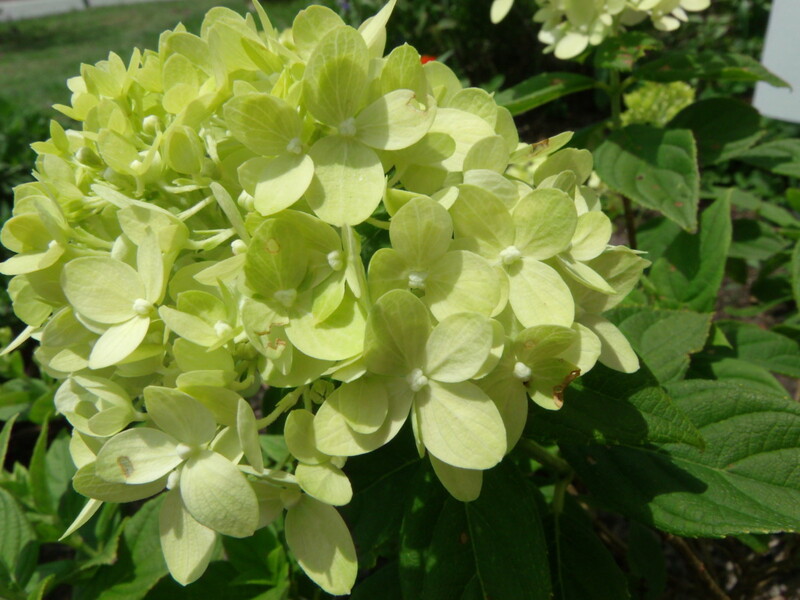 They do no do well in hot, humid weather. 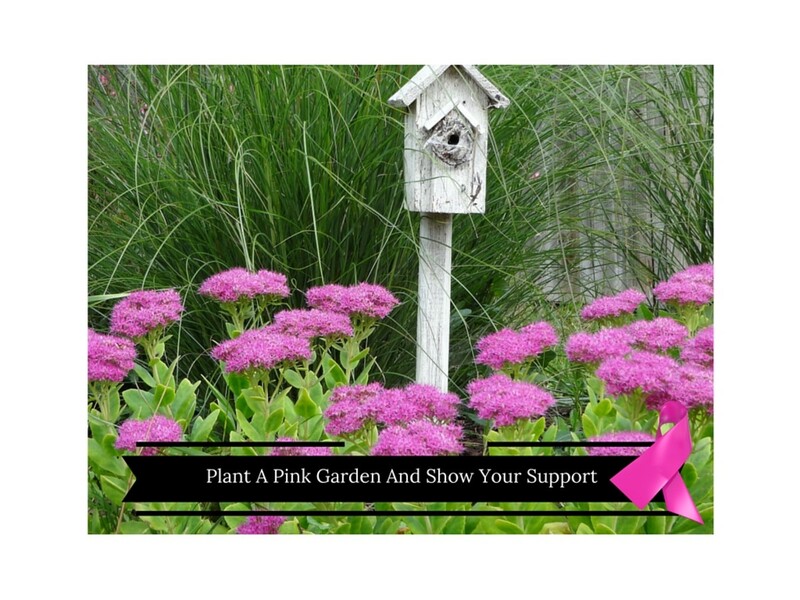 Dead heading will not encourage a rebloom. 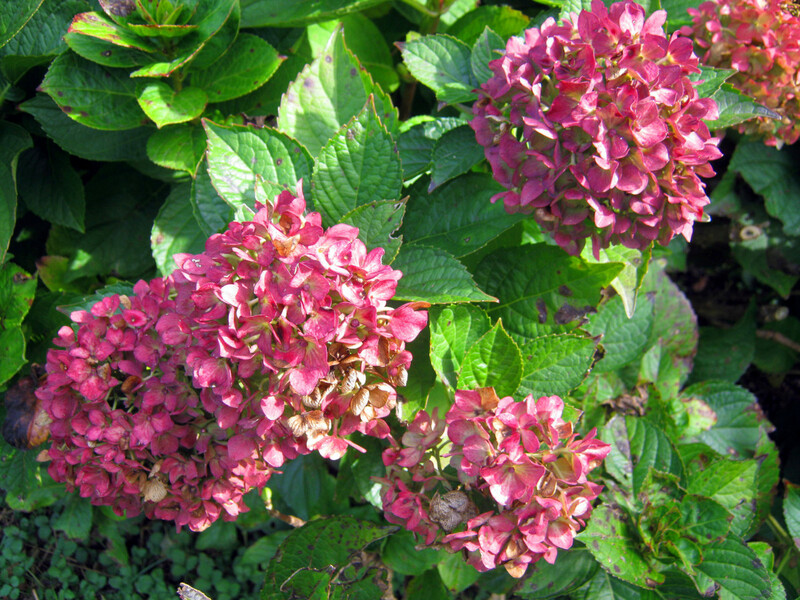 In Fall, collect seeds to plant next year. Green Gladiolus - Biltmore Estates Green Star is a lovely green flower that is easy to grow. The tall spikes are traditional favorites for adding vertical elements to flower arrangements. Zinnias are charming, old fashioned annuals that are easily grown from seed. 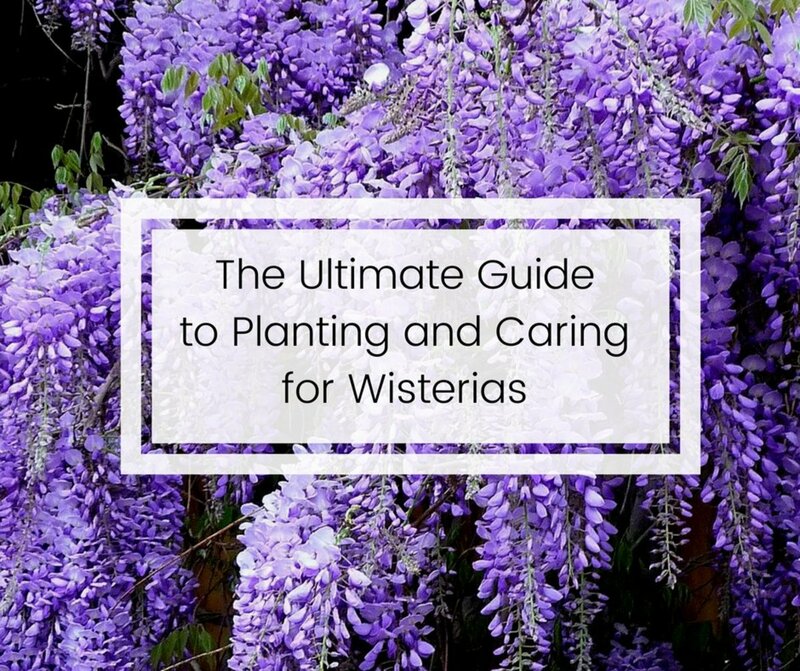 Plant directly into the garden soil after the threat of frost has passed in Spring. 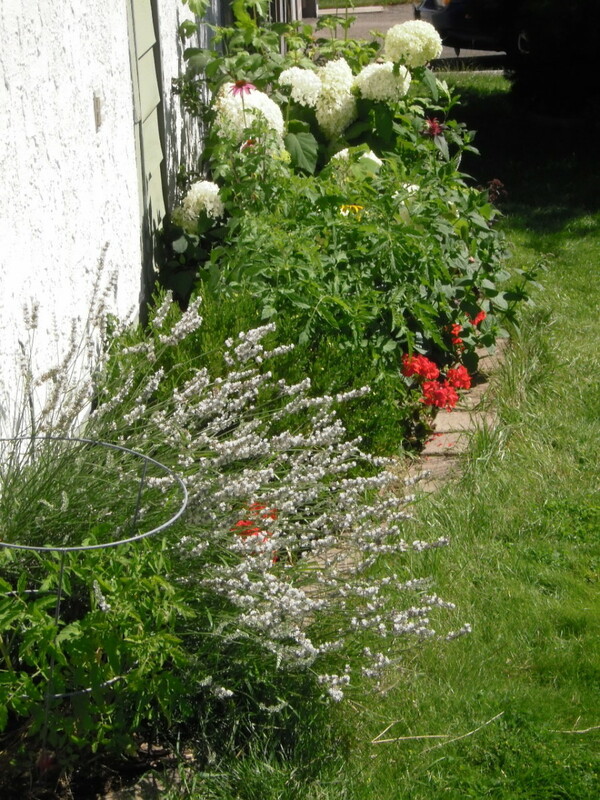 Plant shallow in full sun, in well drained soil. Water daily until the plant becomes established. Dead head spent flowers for repeat blooms. In Fall, pull off some seeds to save for the next year. 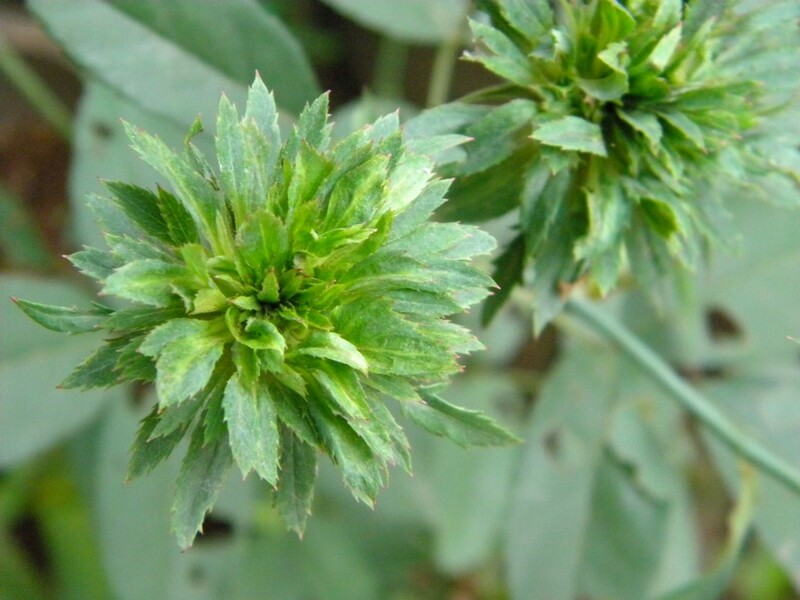 Do not place zinnias in crowded conditions as they may suffer from powdery mildew. Best grown in US Zone 3 - 10. 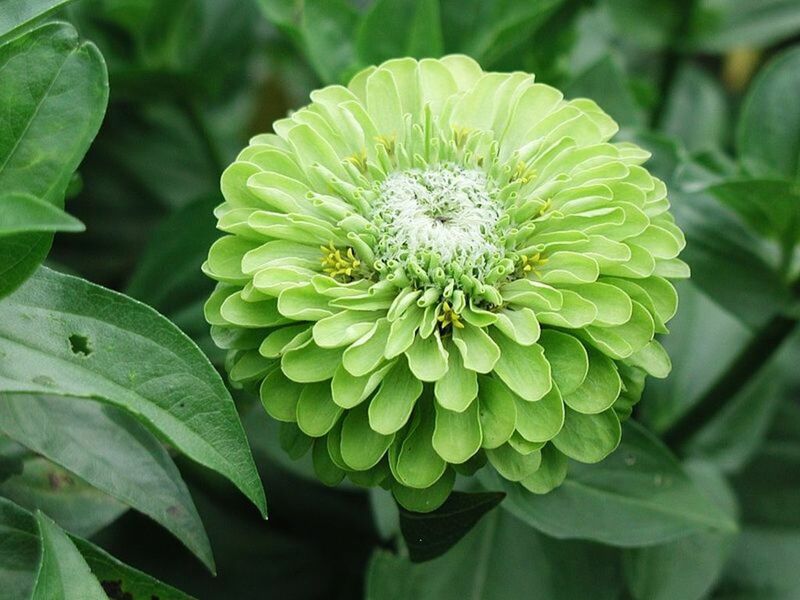 Giant Lime, Jade, and Tequila Lime are other large green zinnias with double blooms. 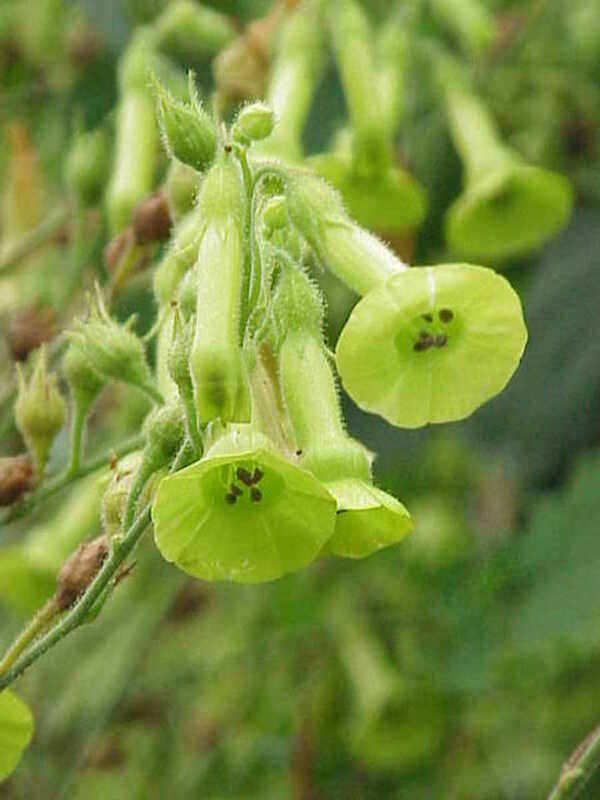 Nicotiana langsdorfii is a 3 - 6 foot tall, clump forming annual with small, bright green flowers. 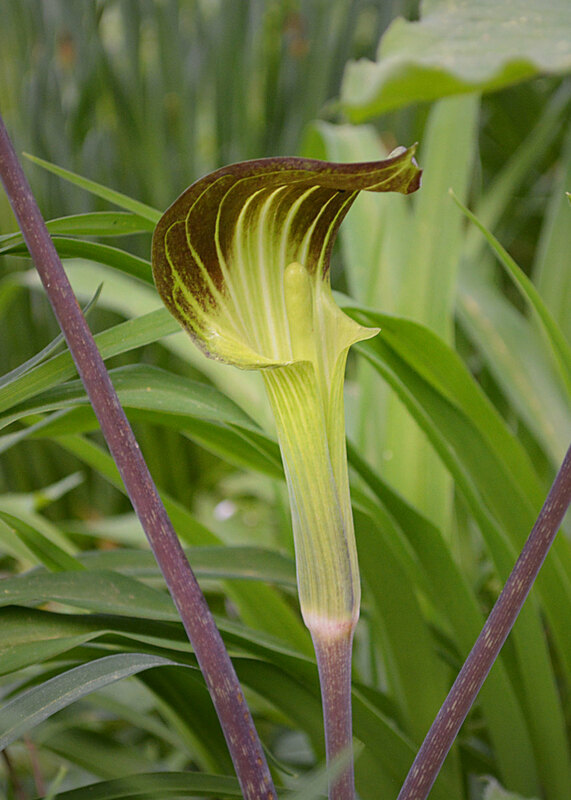 Tiny trumpets or tubular blooms that bell out at the end add interest to a garden in mid to late Summer. Leaves are wide and deep green. Surface sew or start indoors in bright light as Nicotiana needs light to germinate. 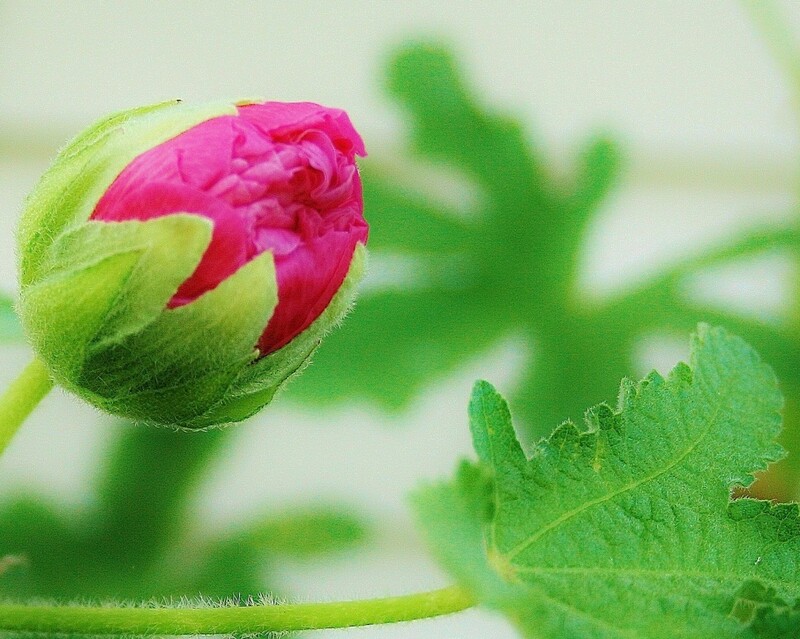 Keep seeds moist until the plant grows and becomes established. 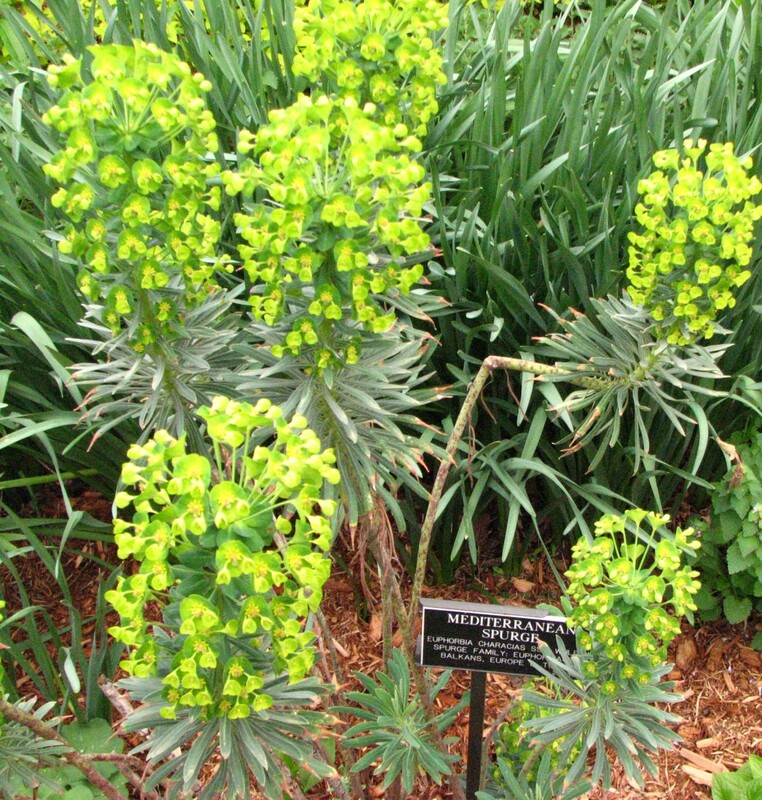 Plant in rich, well drained soil in full sun or partial shade. Nicotiana is fragrant and attracts hummingbirds. Green accents occur in several varieties of tulips. Tulip Viridiflora is a white tulip with green shading that blooms late in Spring. Tulip formosa is a yellow flower with a greenish tint. Tulip China town is light pink with green accents. Tulip Greenland is bright pink with green accents. Tulip Spring green is white with vertical green strips. Mint Julip is a hybrid tea with a yellow bloom edged in green. Green Ice is a miniature rose that reaches 1 1?2 foot tall. Apricot buds open to a soft, shaded green. Green Romantica is a hybrid tea rose that is difficult to grow, most often raised by experts or by commercial growers in a greenhouse. Rosa chinensis viridiflora is an unusual member of the rose family producing what appears to be small, spikey roses. 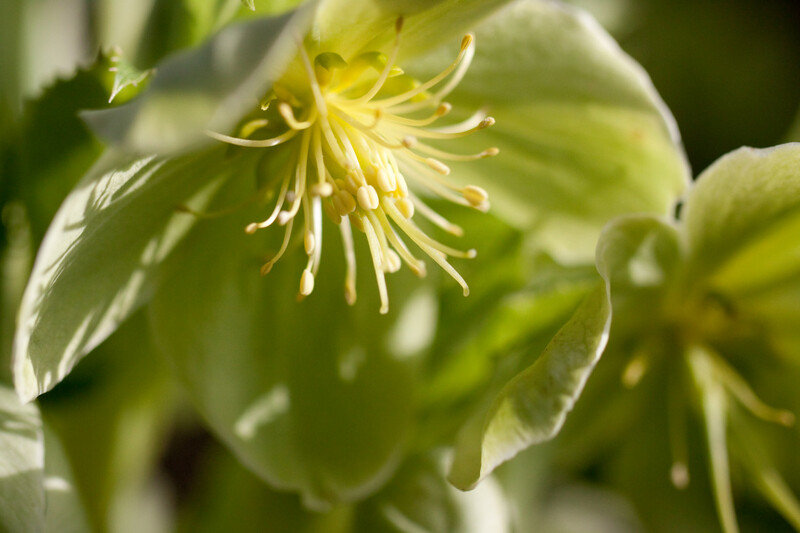 A small bloom is surrounded by bluish green spepals that take on a bronze tone after opening. 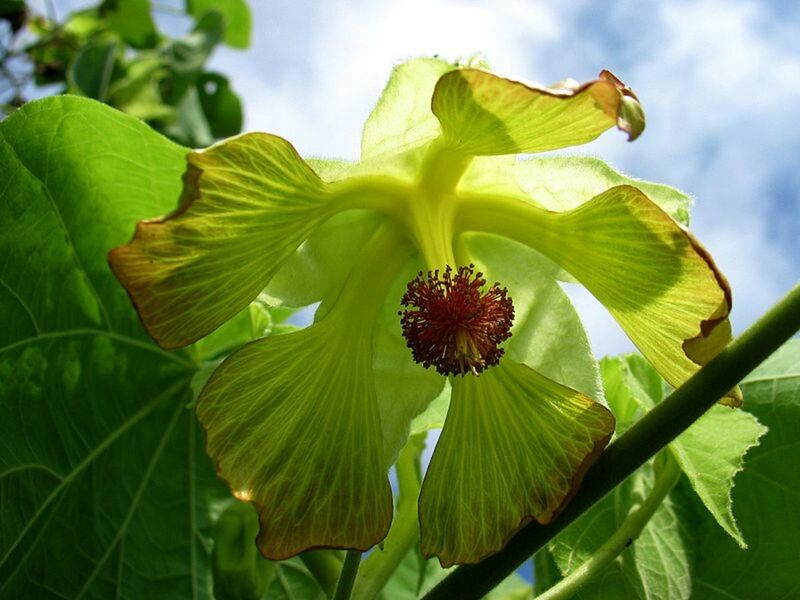 Abutilon Sandwiccence or India Mallow is an increasingly rare shrub native to Hawaii. This beautiful plant is on the endangered list, threatened by habitat loss due to grazing, building, and crowding out by invasive plants. The shrub grows 2 - 10 feel tall and wide producing large, dramatic flowers similar to hibiscus. Leaves are silvery green. Deharainia Smaragdina has no common name. Native to Central America, this leafy shrub is rare and most often seen in botanical collections. Five petaled flowers are surrounded by shiny leaves. 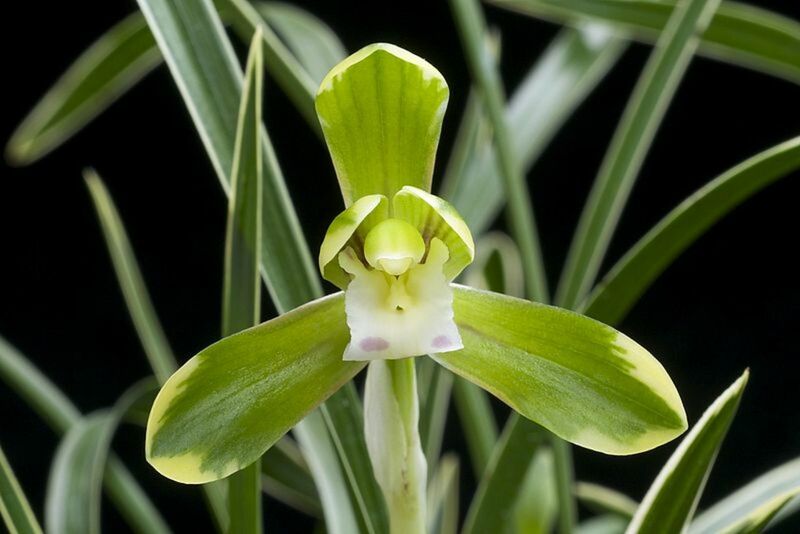 Pollinated by flies, Deharaina Smaragdina attracts its pollinators with a most unpleasant odor. A new "carnation" is making a big noise in some circles. Dianthus barbatus Green Bell and Green Trick are not actually green flowers. 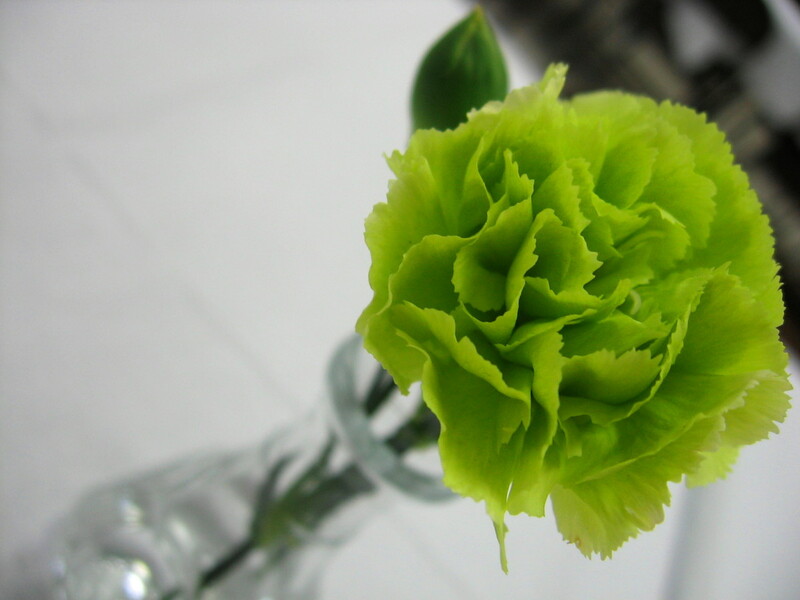 These genetically modified Frankenflowers resemble a ball of bright green moss on the end of a traditional carnation stem (see below). 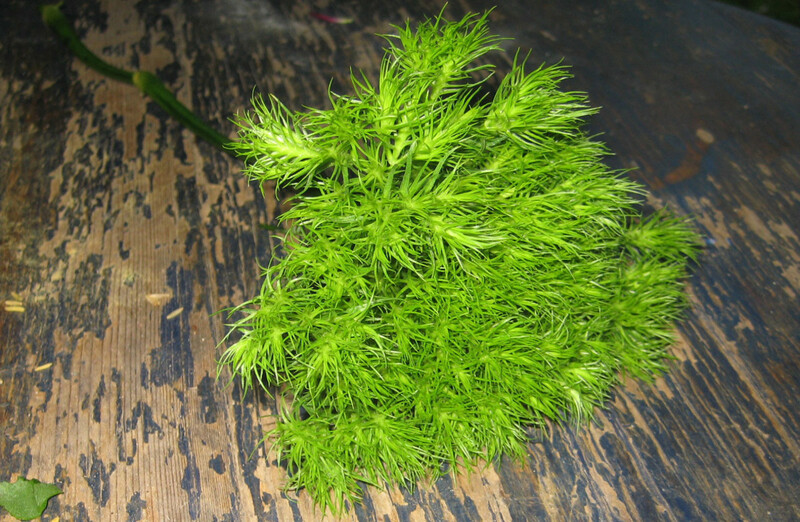 I have a plant that has three large, pointed leaves and it produces light green tulip-looking flowers on a long stem. The flowers bloom before the leaves. 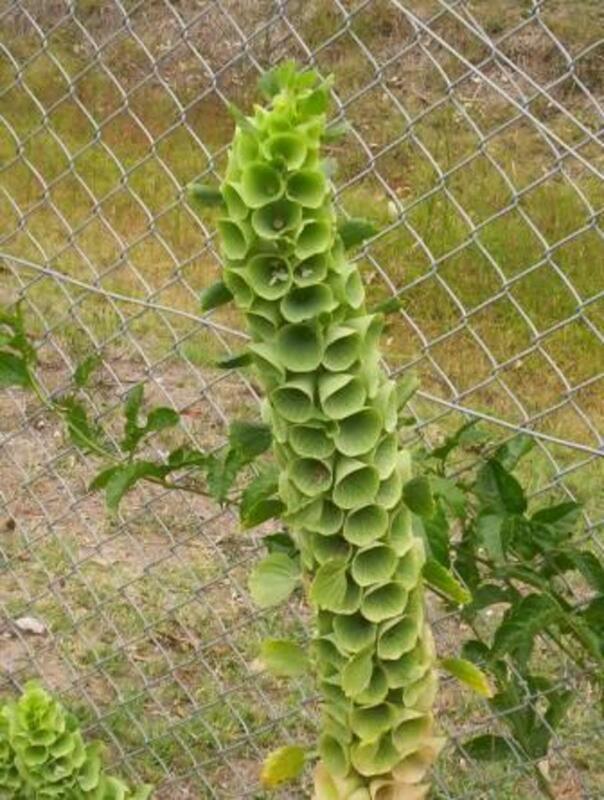 Do you have any ideas what kind of plant this is? While nothing comes to mind, I must say there is an app for that! 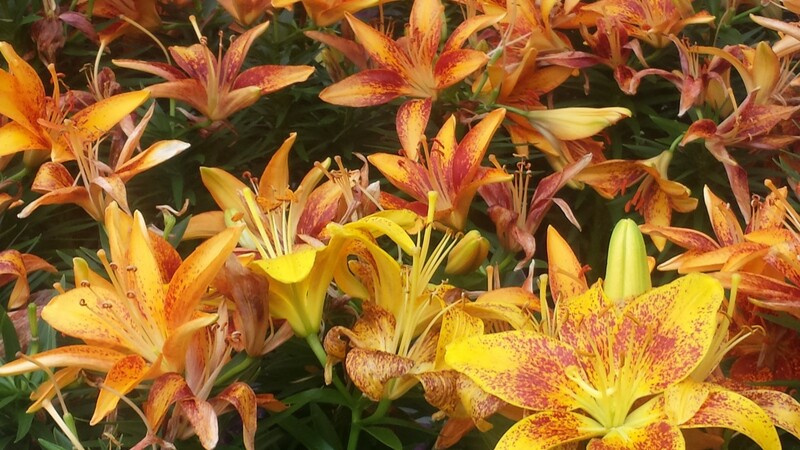 Leafsnap, Plantifier, and iPflanzen allow you to identify a plant with your smartphone! Check reviews online to see which app seems best for you. You can also contact your state agricultural extension for help.